If you have the time to plan, purchase and pack your own food, you can really stretch your vacation dollars. 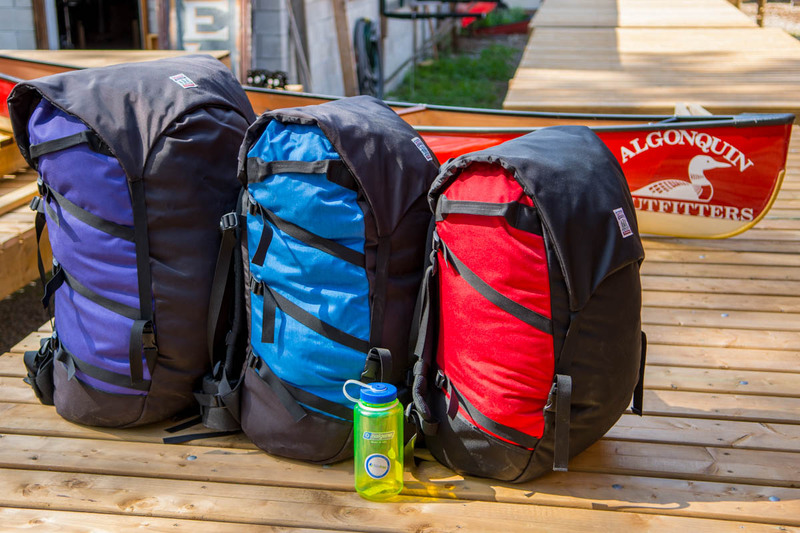 Our Lightweight Equipment Only Outfitting Package combines the lightest quality canoes and gear available today. 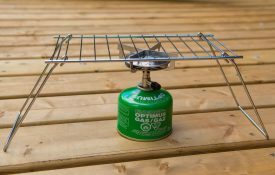 If you don’t like the idea of lugging heavy canoes and excess gear over portages, then this is the package for you. 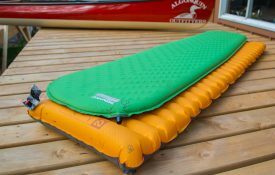 It’s great value and perfect for any Algonquin Park trip that involves numerous portages, where weight is a big consideration. 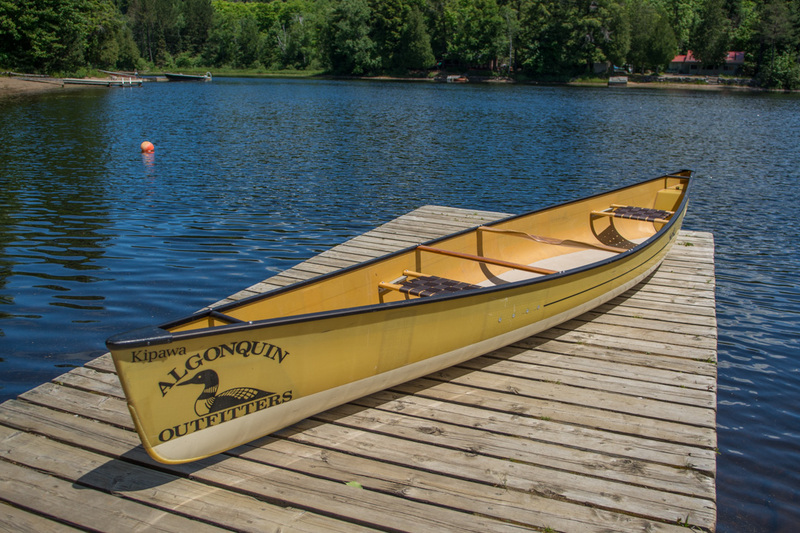 Algonquin Outfitters has long been the industry leader for renting quality lightweight canoes. 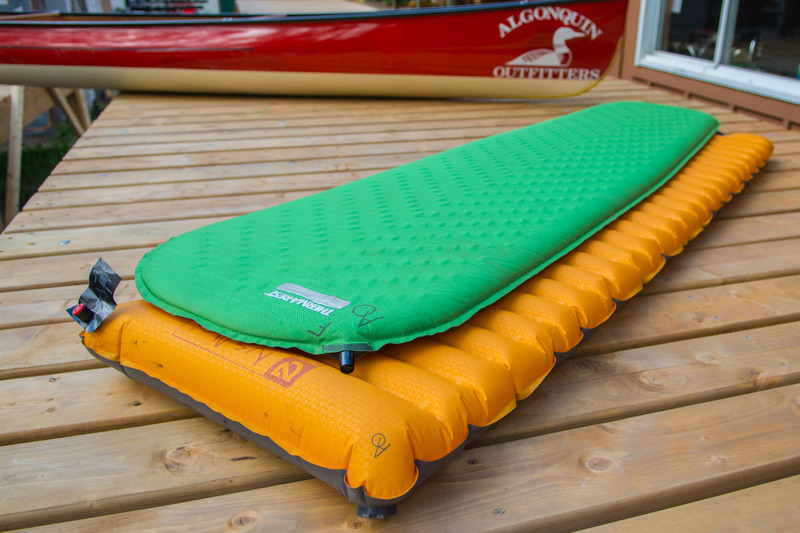 Back when others were still renting only aluminum canoes, primarily because of their durability, we were outfitting canoe trips with lighter, sleeker Kevlar canoes equipped with comfy “deep dish” carrying yokes. 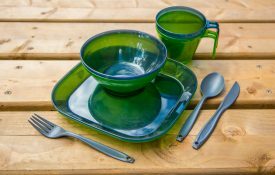 This is also the perfect package if you have a strict diet, food allergies, or maybe just have that favourite meal that you really want to make sure is packed in your food pack. 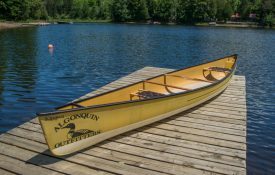 By choosing the Lightweight Equipment Only Package you gain complete control over what goes on your menu but you also enjoy the light weight and quality of the canoes and equipment that Algonquin Outfitters is known for. To reserve, call toll-free: 1-800-469-4948 (1-705-635-2243) or book online by clicking the button below. Have your credit card handy. A complete outfitting package requires a $100 per person deposit, payable on booking. Deposits made in advance will be refunded with 72 hours advance notice of cancellation. If you need to postpone your trip, we can apply the deposit to another trip in the same calendar year. Before you make a reservation, make sure you know trip dates and number of people in your group. If you make a reservation and find that numbers or dates change later, we will be happy to change your reservation. If you have the time to plan, purchase and pack your own food, you can really stretch your vacation dollars. 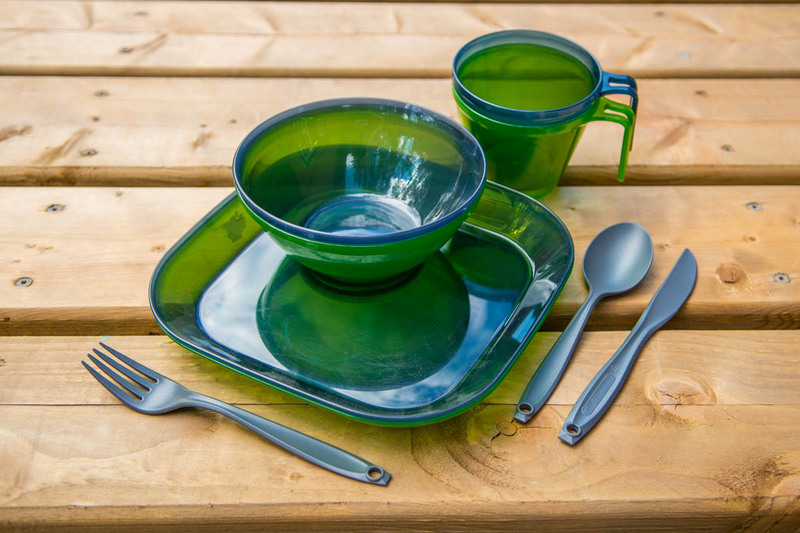 Prepare your own menu and book only the equipment included with the Lightweight package, without our menu plan. 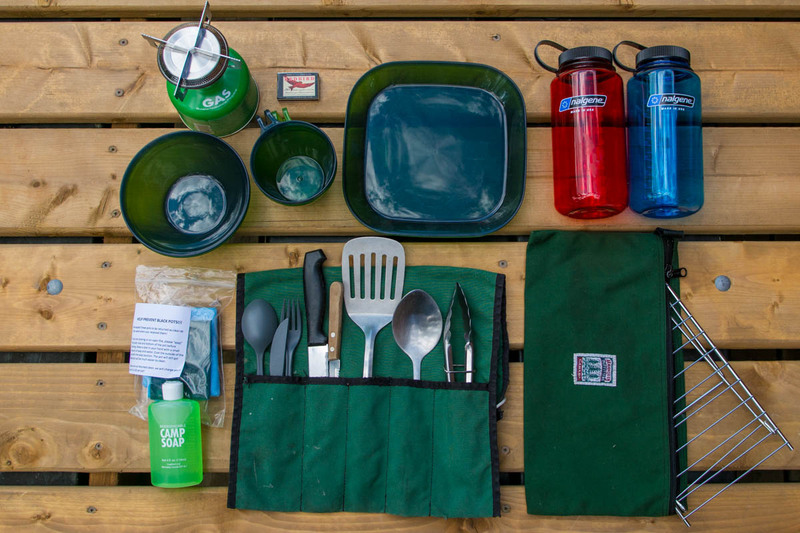 Includes a Superlight Kevlar canoe and equipment from the above package; you bring your own food. Rates are based on a minimum of two in a party, with a minimum two-day charge. Above pricing is per person, per trip. Park permit fees are extra and are paid by the client. We can assist with the route planning and reservation process – please call for details. 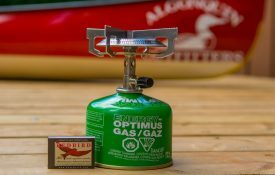 This service is included with Ultimate Outfitting and is an option for all Complete Outfitting customers who feel they might need a basic course in canoe trip skills. 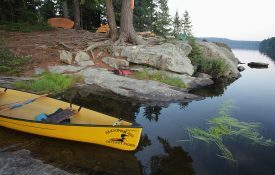 One of our staff will lead you on a three-hour mini-trip and cover skills like camp set-up, food storage, portaging and paddling tips. The charge is $25 per person, with a minimum of two adults. Children in the group are free. 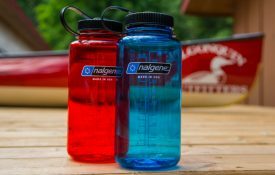 Available by advance reservation only at Oxtongue Lake. You need only bring clothing and personal items. 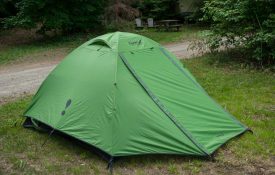 If you forget something, our well-stocked stores carry a full selection of outdoor clothing, footwear, camping accessories and much more. 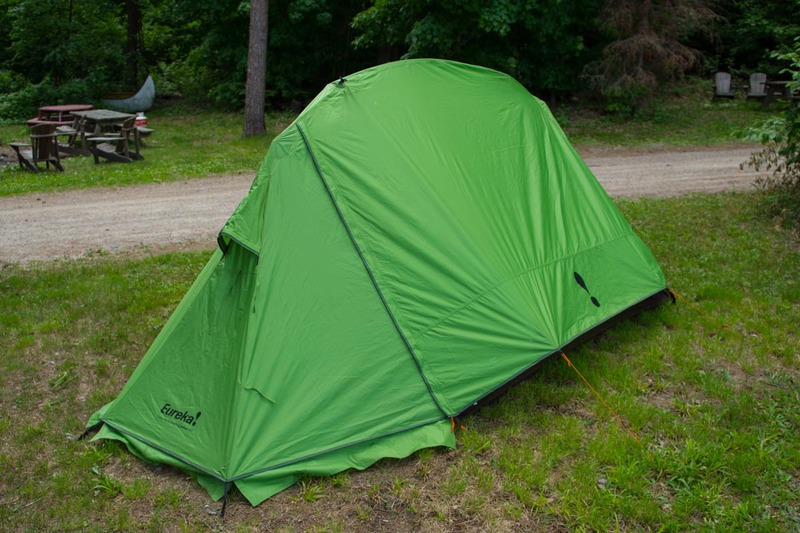 Check the personal gear list on our planning page for more details. 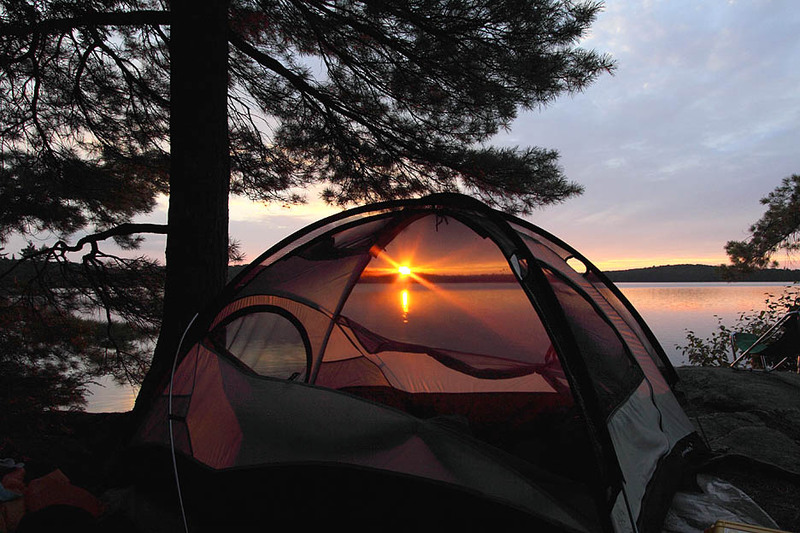 To reserve a camping permit, you will need to know what access point you are starting at and the names of the lakes you intend to camp on each night of your trip. 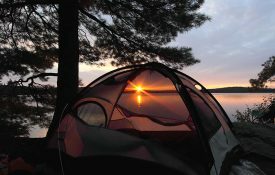 To check campsite availability in advance of making a reservation or get route advice, call the Algonquin Park information line at 1-705-633-5572. We can also assist you with the route planning and reservation process – please call for details, with a map handy. 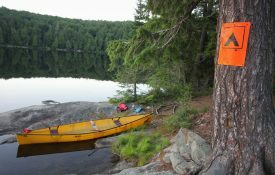 We offer rustic overnight tent cabins and camping facilities for our canoe trip outfitting customers only at our Oxtongue Lake base. The tent cabins are large canvas wall tents with cots inside. 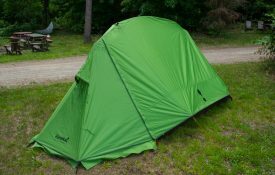 Each one sleeps up to five people. 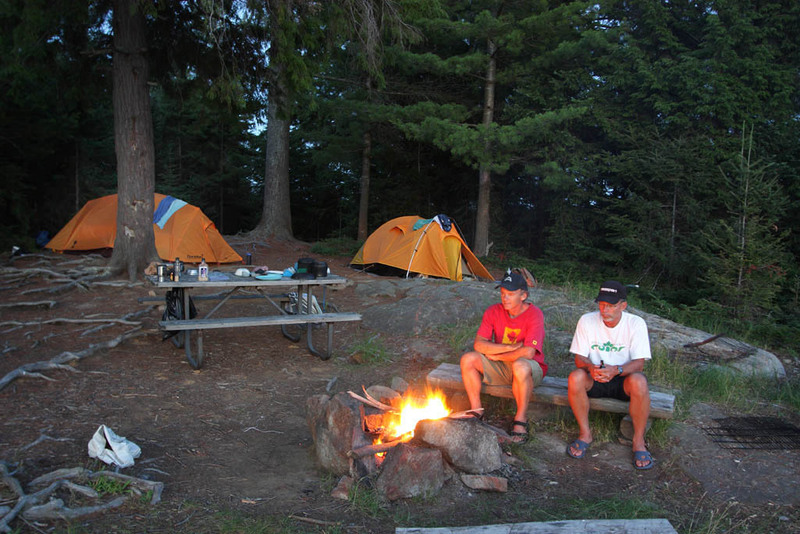 We have six tent cabins and showers and washrooms are available. Reservations are required. This accommodation is handy if you decide to drive up to the area the day before your trip starts. 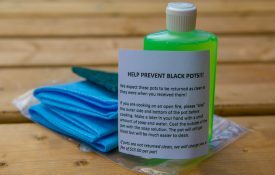 We can also send a list of other local accommodation options if you are interested. Please note that other than paddling to a campsite on Lake Opeongo, there is no overnight accommodation at our Opeongo Store. 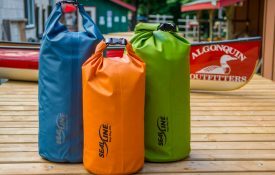 The most valuable part of our outfitting service is the training, advice and help that our experienced guides and outfitters will give when custom tailoring your trip, route and equipment to your abilities and desires. 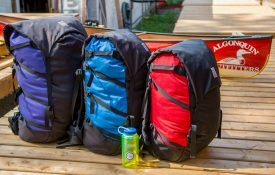 Provided for no extra charge, this service is just one of the things that makes any Algonquin Outfitters outfitting package among the finest in North America. You need only bring your own clothing and personal items. 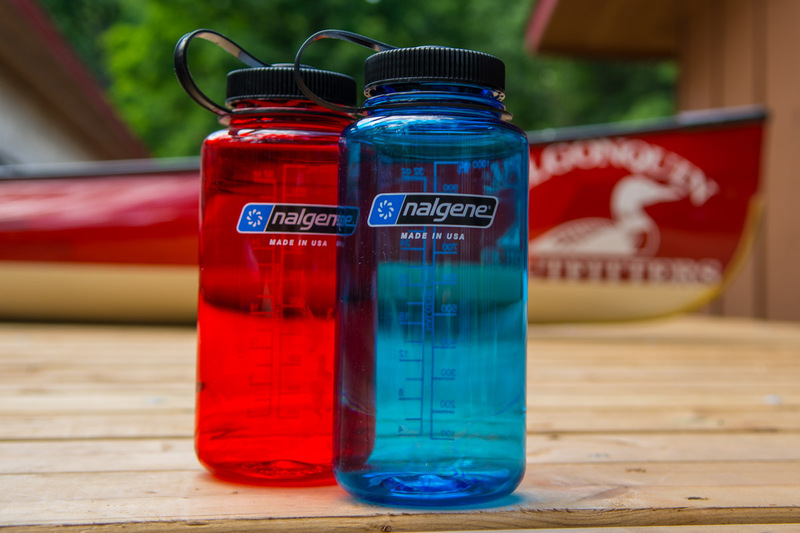 Check our Canoe Trip Planning page for a suggested list. 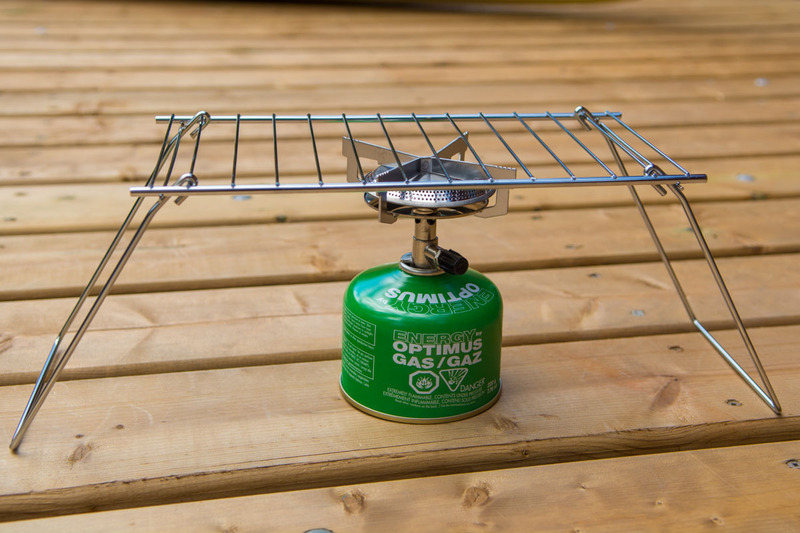 And don’t worry if you don’t have a particular piece of clothing or forget your toothbrush, our stores are well stocked with camping accessories and some great travel clothing. 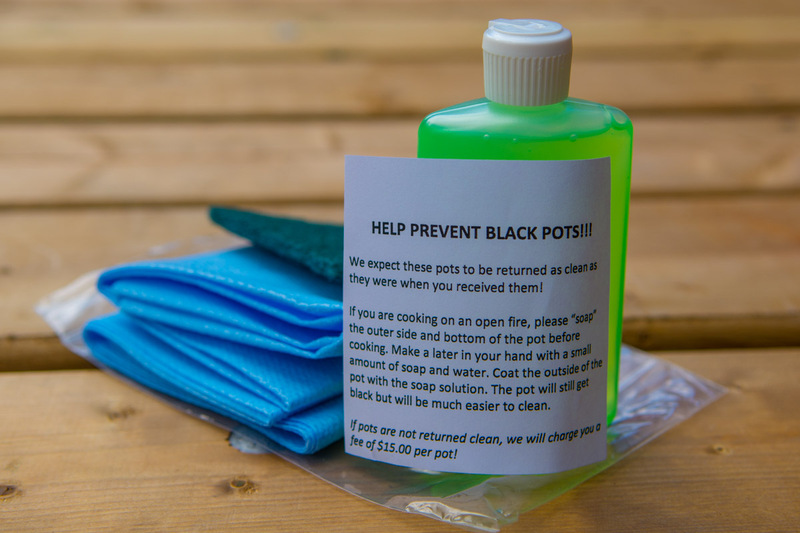 Need a little help getting started? 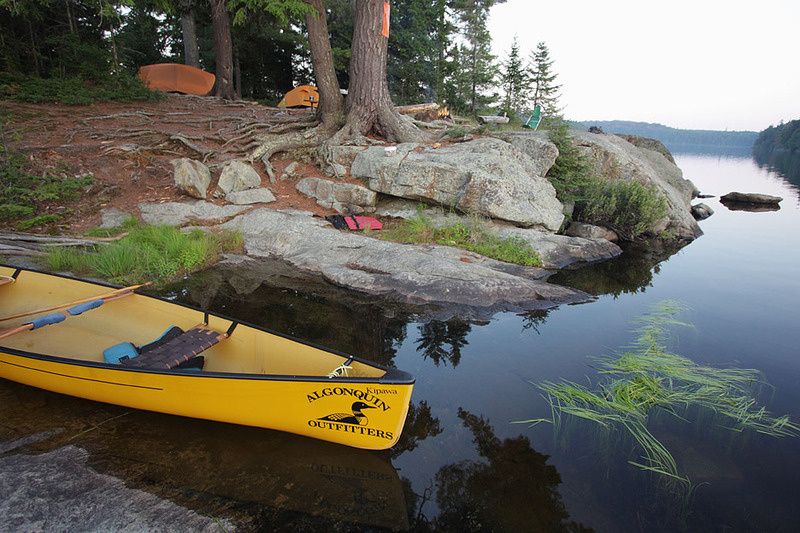 Add the Greenhorn service to any of our Complete Outfitting packages to start your trip off with a short course in the basics of camping and paddling. A cost effective way to start your Algonquin Park adventure off on the right foot.